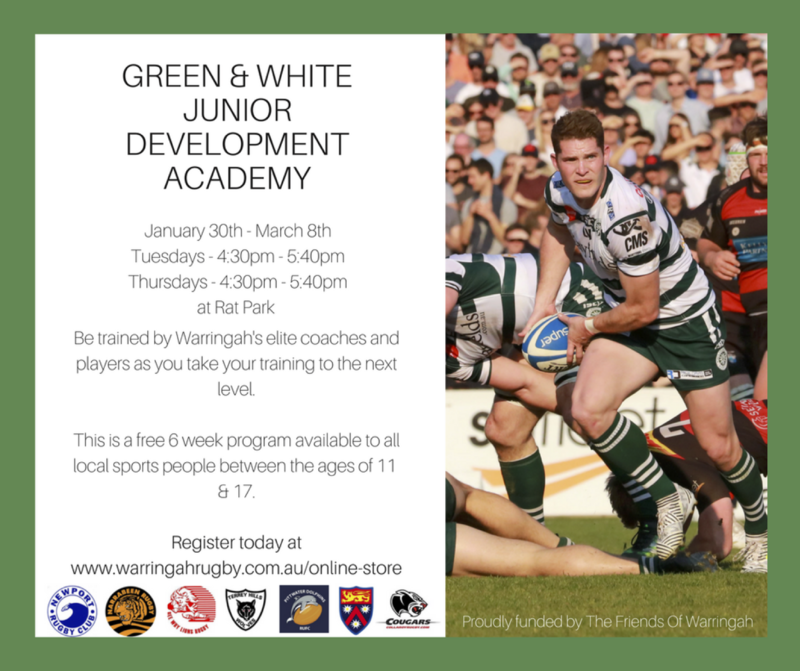 The Green & White Academy will give local juniors full access to the Warringah Rugby Club facilities while allowing players to be coached by the WRC strength and conditioning team. The Green & White Academy will give local juniors full access to the Warringah Rugby Club facilities while allowing players to be coached by the WRC strength and conditioning team. The development program will run from January 30 to March 8. All session will be held at the Rat Park on Tuesday and Thursday nights from 4:30pm – 5:40pm.. The WRC S&C staff will provide a program that targets gym training, basic core rugby skills, nutrition, running and speed. The session are aimed at giving young men/girls a base for there gym training while preparing for them 2018 rugby season.